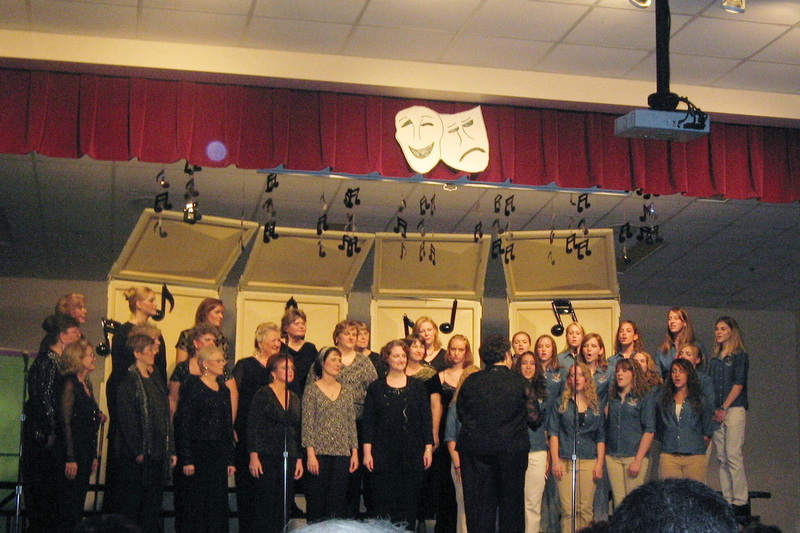 at the New Maysville Community Church on October 26, 2013. 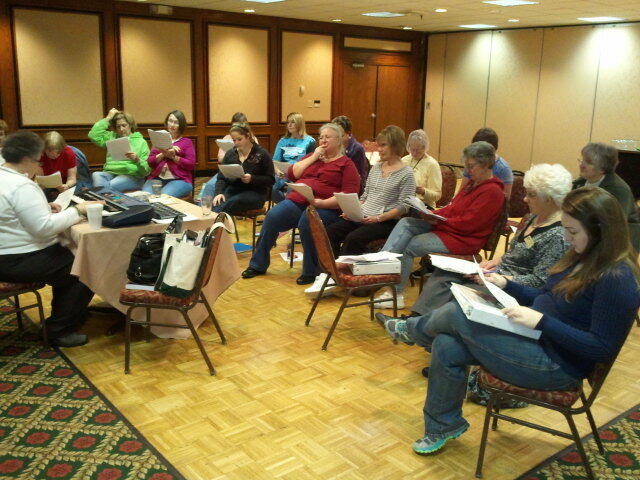 CBCC Retreat in early spring 2013 at Holiday Inn at Terre Haute, Indiana. 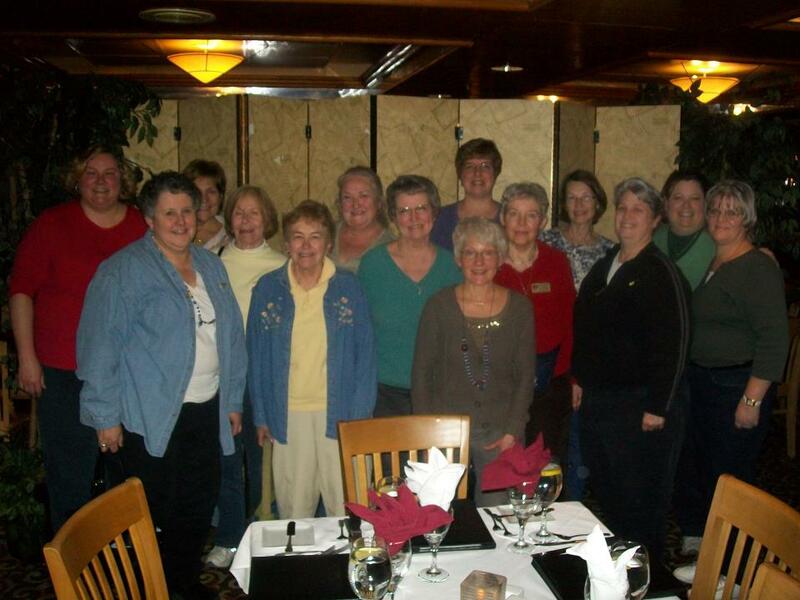 Spring Retreat 2012 at Holiday Inn, Terre Haute, Indiana with coaches Janet Foster & Susan Spencer. 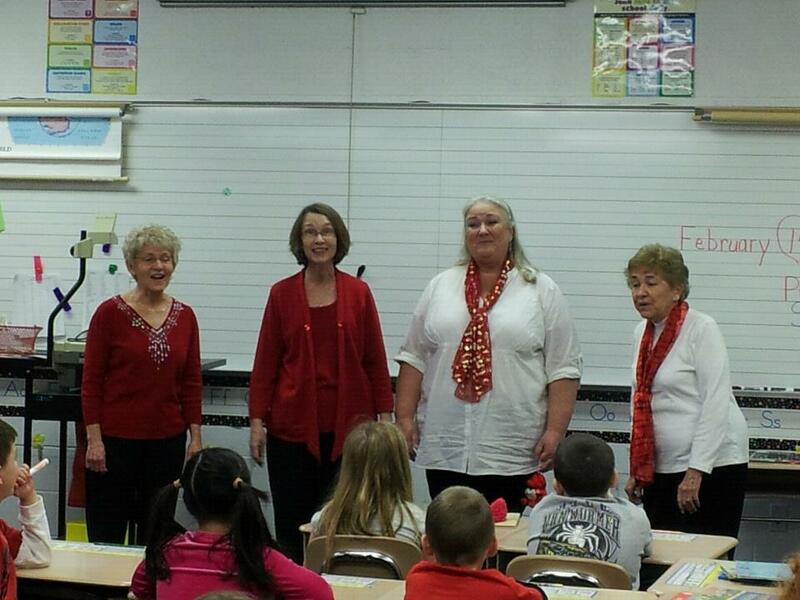 Daydream Believers and Roseanne Jensen deliver a Singing Valentine in a classroom full of students. Skip Sutton Holding CBCC's First "Most Improved Award". 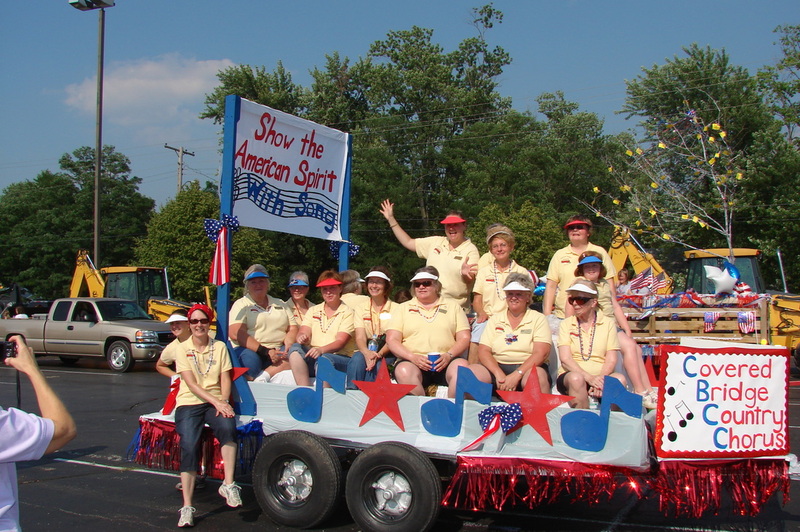 Our Putnam County Fair Float in July 2008. We didn't win, but we had a lot of fun. It was hot!! Just before taking the field to sing the National Anthem on New Year's Eve 2006 at the Indianapolis Colt's Field. Skip, Sara, and Beth at IC&C 2004. Our Broadway Show of 2002.